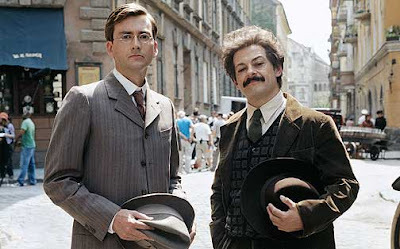 According to Simon Pegg's twitter (tweet has now been taken down) David Tennant has dropped out of the upcoming John Landis film 'Burke and Hare,' Pegg revealed that Andy Serkis will now replace Tennant. David Tennant had to drop out of [Burke & Hare] but by sheer glorious serendipity a legend of Middle Earth and Skull Island has come aboard. Welcome AS. The news of Andy Serkis has not yet been confirmed by the studio. UPDATE: Isla Fisher, Andy Serkis and Tom Wilkinson have officially joined Burke & Hare.